1) First login or register if you haven’t already. 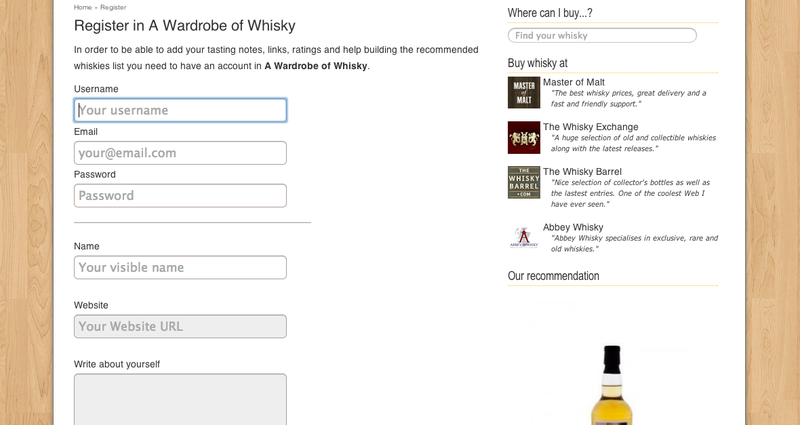 2) When you register you need to fill the username and password you want to use for logging into A Wardrobe of Whisky. Fill your visible name and your website URL and write a few lines about yourself if you want ( not mandatory ). 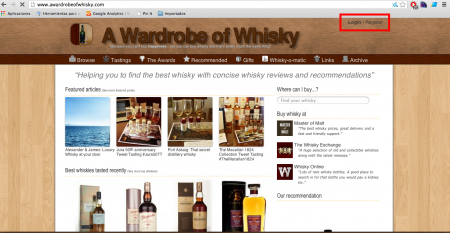 3) Now look for your favorites, you can use search on the right sidebar, have a look at Best Whiskies and Most recommended whiskies or just browse in the full list of distilleries. 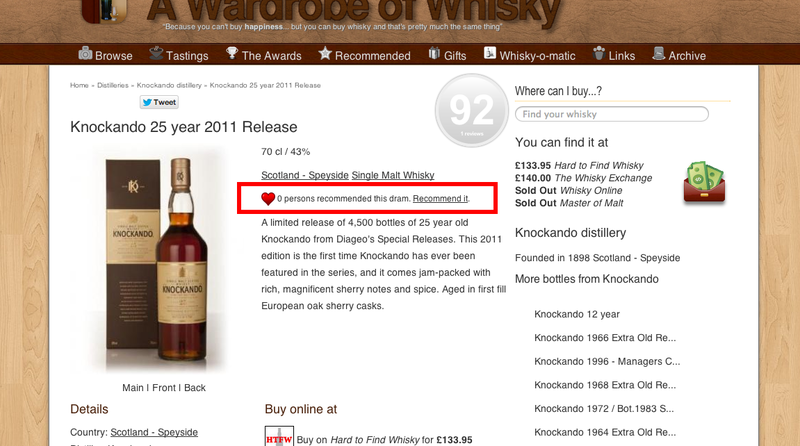 4) Now just click on the bottle and you will see a little heart on its right. 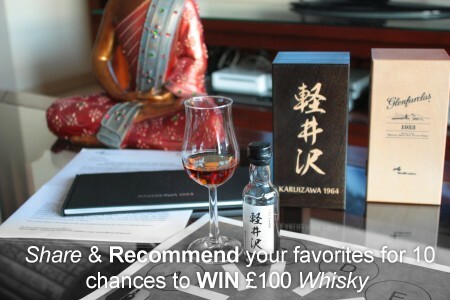 Click on Recommend it and you have just liked it. In case you liked a Johnnie Walker don’t panic, you can undo the recommendation by clicking on Undo. Lack of inspiration? Check these articles this, this or this one.